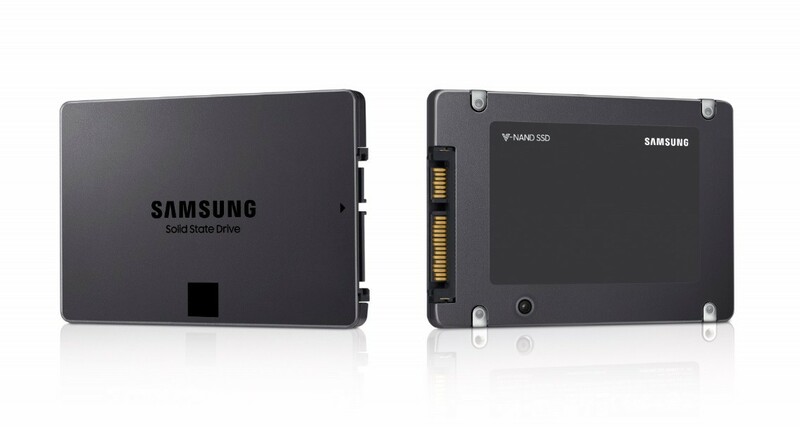 Samsung has entered mass production of the first 4TB QLC SATA SSDs for the consumer market. The news comes from the Flash Memory Summit, an annual storage conference where all of the newest flash and memory tech is announced. The Samsung's announcement comes alongside with the announcements from Intel, Micron, Western Digital and Toshiba. At the moment only SK Hynix hasn't announced a new QLC product. Samsung based its QLC flash on the same 1TB V-NAND that it currently uses as a base for its TLC flash. As you might know, the TLC flash stores three bits per cell making the entire process denser and cheaper than previous generation. With the QLC flash we have four bits per cell that should promise lower prices and higher capacity. According to Samsung, the QLC flash can obtain the same speed of existing TLC flash memory. Samsung plans to release 1TB, 2TB and 4TB models later this year. Furthermore we should see NVMe SSDs for enterprise applications and 128GB QLC memory card for smartphones.